I just wanted to use this title. I’m Cam, your newest (and slowest, but I’ll see what I can do about that) admissions blogger. I think that means that it’s my job to tell you about MIT, the things I do here (or don’t do here), and generally what my life’s like (so that you can, I don’t know, decide whether or not you’d like to apply here for school). Since applying to college is an important process for many people, and I’m not quite sure how to represent the enormous beast that is MIT, I figured I’d start off with something smaller and lighter. Such as a large steel fork. Smaller and lighter than your choice of where to apply to college, but bigger and heavier than most of the other forks you’ve used.Why am I telling you about a steel fork? Every Monday night, I get to put on pants*, step back from a crazy work-filled day, and sweat for several hours.  At MIT, all freshmen have the option to apply for a “freshman advising seminar”. All students (or, most? I’m new here) have an advisor, the professor or faculty member who helps you to manage your schedule, get a job, adjust to college, and discover cold fusion. However, if you elect to take a freshman advising seminar, you also spend a few hours a week with your advisor and a few other students doing something Really Cool. 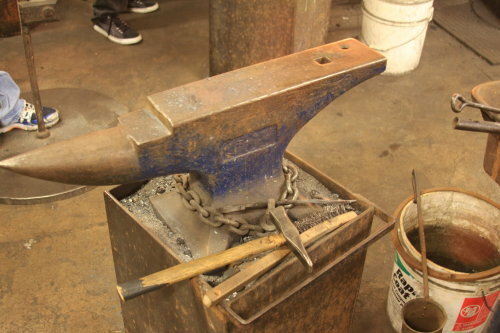 I am one of the lucky four freshmen in the advising seminar 3.A04, Modern Blacksmithing and Physical Metallurgy. At 7pm on Monday nights, I change into long pants and close-toed shoes and head down to the basement of building 4. There, I work for two and a half hours with my two awesome advisors, Professor Sam Allen and Technical Instructor Mike Tarkanian. This means I don’t get to watch House when it airs every week, but this seminar is worth the sacrifice. We start most nights with a demonstration, since both Sam and Mike are fairly accomplished smiths, and then we all get to work on our own projects. Since I’ve only been to three sessions so far, having had some kind of flu (probably the oink-oink type) during my first week, I’m still not working on anything too exciting. 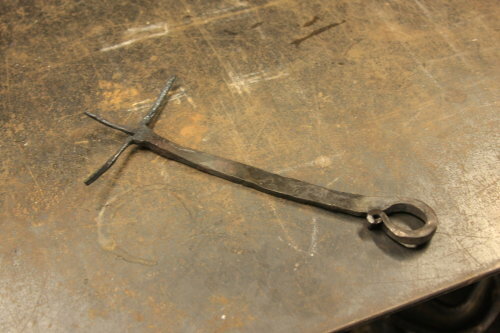 One of the demonstration pieces was a two-tined fork, and I decided to try and tackle that for a starter project. However, I decided to try for three tines. As you can see above, my fork’s lacking in general forkiness. I’m not quite done with it; I still need to finish the tapers on all three points, and then I will bend them to point in the fork-hat direction (oh, by the way: the first few weeks of freshman classes involve A Lot of Vectors). After that, I will touch up the handle and clean the whole thing, perhaps coating it with varnish. Then I will use this absurdly large and heavy fork for something excellent, like stabbing (and subsequently cooking) steaks. I had hoped to finish the fork this week, but ran into a bit of a problem on Monday night. As I was cutting out the tines in the fork, having annealed the steel (we learn actual science, in my freshman seminar! not just: heat heat bang bang. 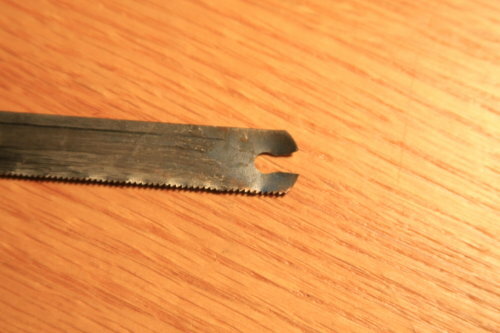 It’s pretty cool) so that I could actually make ~1.5″ cuts in it, I broke a hacksaw. The old blade I was using decided it wanted to go into early retirement, and snapped off the hacksaw… somehow, slicing open my pinky as I came down on top of it. So, that’s all, folks: stay tuned for my next post, on How to Sue MIT for Millions of Dollars! Just kidding. My finger’s fine, and I still can’t wait for next Monday when I turn this lump of three-tined steel into a manly meat-stabbing utensil, or something along those lines. In summary, though, I would highly recommend taking a freshman seminar if or when you come to MIT. Although this seminar was the only one that I applied for, there are many of them available, and you can apply for the freshman seminar(s) of your choice through an online lottery over the summer (there were other cool ones (pun! ), but I wasn’t willing to make the time commitment to them, as I’m taking (what I consider to be) fairly hard classes (extremely run-on paragraph! plus ten points!)). I’m sorry it took me so long to get a first post out; I was waiting until Monday to take pictures for this, and then I didn’t get the post out until Thursday because I had three midterms in three days. Sometimes, scheduling doesn’t work out very well. As one of the new admissions bloggers, I’m still getting used to this “blogging routine” concept (although that’s no excuse), but I hope you all enjoyed reading this post, and I’ll be back with another one soon, so stay tuned! A picture which I did not successfully work into the body of the post. We must have neglected to tell you in the blogger orientation that all new bloggers mutate into Chris or Jess. I’ve transmorgrified you back. We’ll schedule follow-on treatments as necessary. Yo’ props for putting pictures up! Totally agreed on fresh.seminars — in our case, FREE.FOOD. for 2 hours. Cam looks surprisingly like Chris . . .
Cam, your avatar is SO handsome! Chris, in my defense I definitely didn’t realize you’d changed your picture. I see your picture… and a robot!! I’m a FIRST-er too. :3 I have a question… which game, out of the past three years, was your favorite? What was your major “role” on the team? 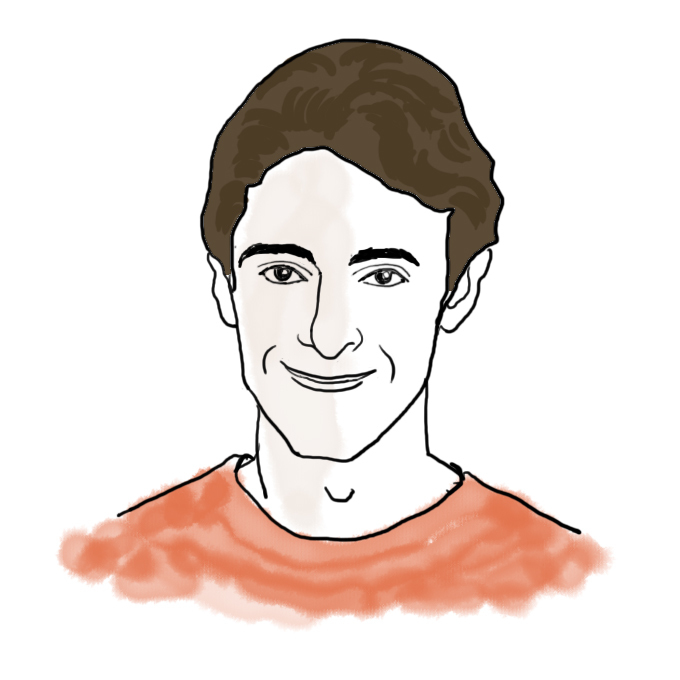 Are many MIT students mentors for that FIRST team? In the future, could you maybe blog about FIRST and Robotics at MIT? I would love to read about them. Thank you, and welcome to the blogs! I think “moustache” could be the British spelling. By the way, your Avatar looks cute.. Welcome to the blogs newbie!! Regarding “Lame-vard University”, hehe, I THINK the best place to be is Duke!…It’s Official! And I second the question about the number of advising seminars you can take. Also, are these seminars year-long or just for one semester? Err, sorry, I wasn’t clear; you can only take one, but because it’s hard to get into some of them, you rank up to 5 in the lottery and get between 0 and 1 inclusive. @s: Nah, no 5.112 for me, it was 3.091. @Dave: I still feel some itchiness from the mustache sometimes. @Val: uhh… hmm. We’ll see. Feeling very lazy to blog about that right now, but maybe in a couple posts. Or when the season starts up. @Oce: The mustachey one or the other one? Either way, thanks, from either Chris or me. The other one. lol. Really cool!! I liked it! How far did your team get in Science Olympiad? and what events did you do? Wow, heavy on parentheses. BTW, is there a limit on how many of these seminars you can take? Or is it just up to you and how you set up your classes? It’s only a ‘moustache’ if it curls up at the ends and the definite article is ‘zee’. Cam Your post is really cool..and you, hŒõt! Your avatar, the one without the mustache must be what makes you so popular already. 20+ Responses so far so soon!! Cam – it IS you!! Haha, AMAZING first blog – congrats! Hey, I recognize the robot in that picture…! It’s great to see you blogging, Cam! Have a great time at MIT — I miss it a lot now that I’ve gone to California for grad school (although I admit the weather’s nicer here). And yeah, way to represent Team 97! Great photos to go along with it. 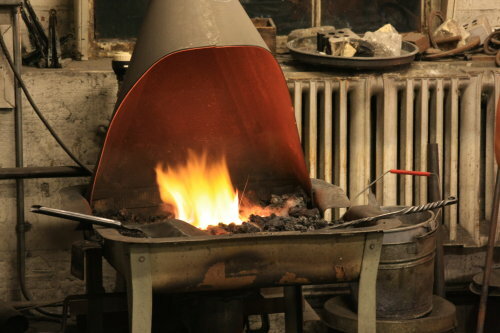 I had no clue that mit offered a blacksmithing class – how fun. (Intro to) Gee, my classes are boring’ bit was absolutely brilliant!! Bumps, slumps, trips, and … Breaking out of a slump, now with more Cleveland! Recycle, Reuse, (Map) Reduce? Jackpot, baby! How many engineers does it take to change a light bulb? If you asked somebody what 'for' was for, what would it be? More than 9000 reasons not to groan at my poor usage of outdated memes. ALSO, CPW!